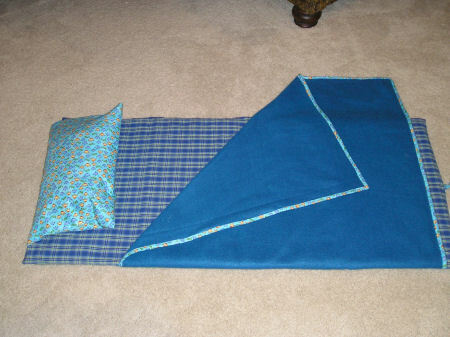 You Name It offers three types of nap mats which are perfect for mother's day out, grandma's house or sleepovers. They are the nap rolls, custom sewn nap time tote and the custom kinder-mat cover. an attached fleece blanket. 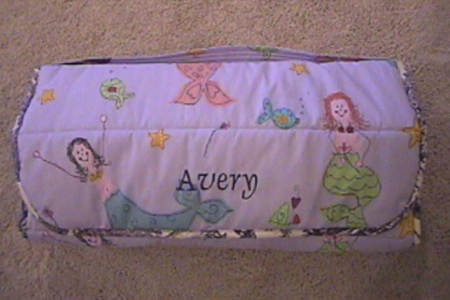 The tote measures approximately 19" x 41" and is machine washable in cold water. Add comfort to your existing vinyl kinder-mat with a custom cover. 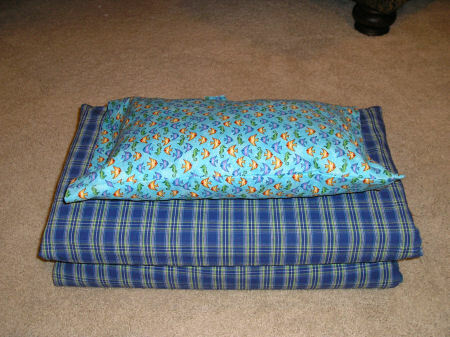 These covers fit the standard quad-fold kinder-mat (19"x45"x5/8") and include a pillow and attached blanket. A tie-strap keeps the mat folded when not in use. The pillow is removable for easy washing. The price of $25 includes the charge for sewing and one-name monogram. The monogram will be placed on the edge of the pillow. Please be sure your kindermat is 19" x 45" x 5/8". If it is different, call for exact fabric requirements! Nap time totes roll up and are easy to carry with a shoulder strap. 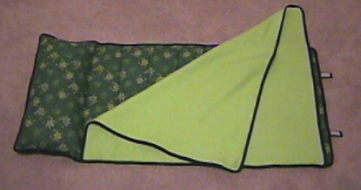 The mat features a comfy pad, pillow and attached blanket. The tote measures approximately 22" x 54" and is machine washable. You choose your own fabric for a custom design. The price of $50 includes my charge for sewing (including batting and stuffing) and a name monogrammed on the outside of the mat.